Pay with debit or credit card - Choose PayPal as payment option. Please note you don't have to have a PayPal account. 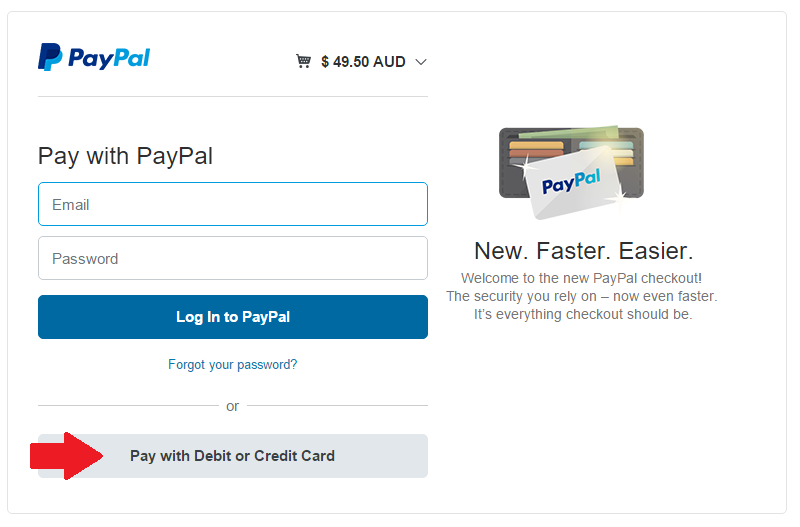 At the secure PayPal site, choose "Pay with debit or credit card" as shown in the image below. Follow the prompts. Make a bank deposit (To an Australian account or a Sri Lankan account). If you are in Sri Lanka we encourage you to pay in rupees and save on exchange rates.